This unique leather cleaning solution contains no solvents or abrasives, allowing it to clean leather safely without causing any damage, yet it is still capable of removing deeply ingrained dirt and grime. Leather Ultra Clean is an effective & powerful water based leather cleaner making it ideal for cleaning light coloured leathers that show the dirt most, but can still be used on all colours of leather safely. 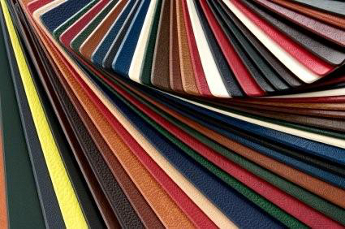 Leather Ultra Clean can be used on all different articles of leather, from furniture and car interior to clothes, shoes, handbags and even equestrian leathers. Leather Ultra Clean is used to clean leather that has become very dirty and needs a good clean. It works on all colours of leather and all different grain types. Spray onto a sponge and agitate to create a foam. Clean the leather in a circular motion to lift the dirt, grease & grime. The Leather Cleaning Brush can be used to reach dirt trapped in the grain. Clean & protect a three seaters sofa 6-8 times! Clean & protect a large car interior 8-10 times! Both products are specially treated to resist bacterial growth and will safely last 3 years if stored in a cool dry place with the lids fastened. Classics Monthly Magazine's leather cleaner test shows Furniture Clinic's Leather Ultra Clean scoring the first ever full marks on any product test they've done, giving it 20 out of 20 and voting it the BEST LEATHER CLEANER AVAILABLE. I have received the order recently dispatched to me and used the Ultra Cleaning product today. This is simply the best leather cleaner I have ever tried and I have tried a good number without success. My light blue suite which was ingrained with dye mainly from clothes looked very dirty. Recently I brought in commercial cleaners who failed to improve it. I bought your product as a last attempt at cleaning the suite myself. Delighted with the results. My wife is also delighted which means I don't need to buy a new suite in the sales. Fantastic.